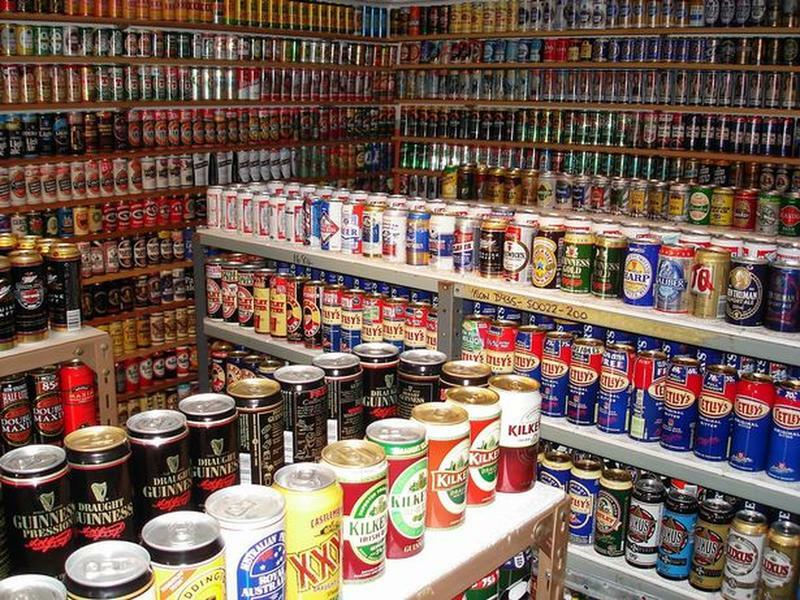 Nick West, owner of 9000+ empty beer cans, has decided to sell his collection in order to downsize their house. 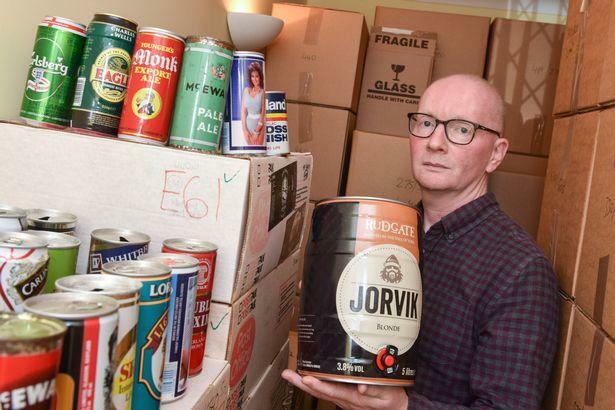 Nick's beer-collecting hobby started in 1975 when his wife bought him a book about beers. But what started as an innocent hobby soon became an obsession. 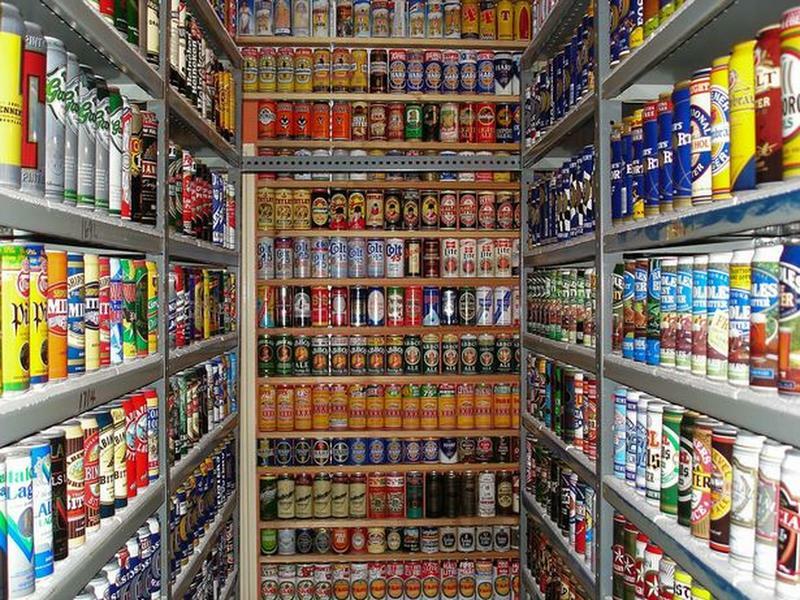 Nick started to spend more time online in search for new cans. There are also days when he need to force himself to drink even the most disgusting beers so he can add the empty cans to his collection. Nick had converted part of their house into a sort of a "beer library." 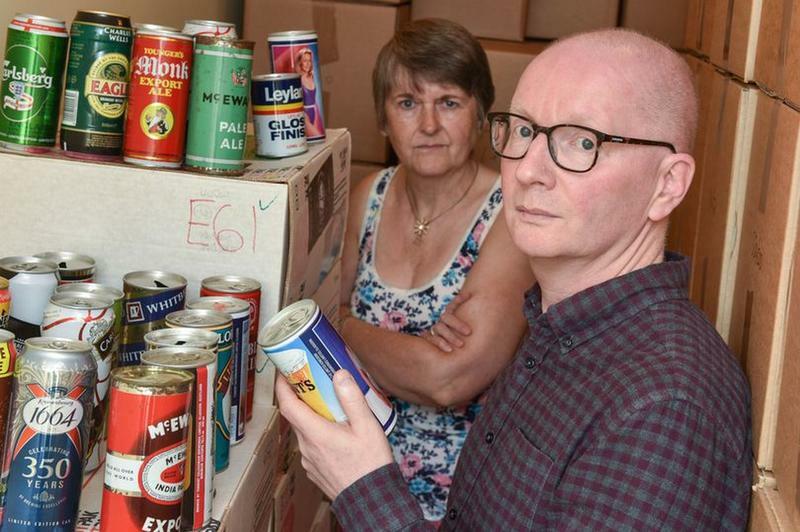 But his beloved collection is now packed into several dozens of boxes after agreeing to wife Deborah that his hobby has gone way out of control. Nick said that he and Deborah both retired a few weeks ago so their income has been significantly cut off. Downsizing was necessary. He further added that he is aware that his wife and kids have zero interest in his collection so he doesn't want to give them the hassle of sorting through his hoard when he die.